I'm ready for some fun today as I open up a blaster of Pinnacle. This year's version of Pinnacle has not disappointed in terms of it's enjoyment to open. Pinnacle was beginning to become a really nice product, it's too bad Panini shelved it... and too bad there's no more Panini too! Pinnacle blasters provide the opener with some nice things to look forward to. Collectors will find special foil Nufex cards, some sweet photography, some random inserts, and a hit (most likely a jersey card). 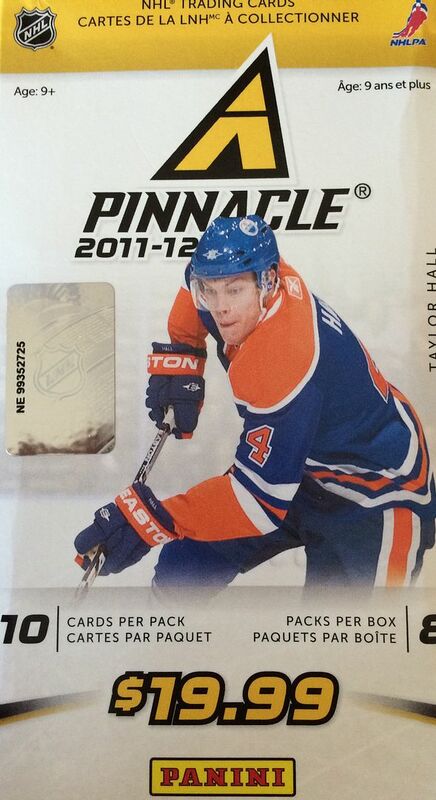 For a retail product, I think Pinnacle hits all the right notes. It would have been really nice to see what the future would have been for Pinnacle if Panini was able to keep going with it. I had no doubt that this would be fun to open... and it was. There were a couple of all-base packs, but the majority of the packs within had a special card in it to enjoy. It's always awesome getting a few different insert cards when buying retail. They really make the product better. One product that definitely lacks in this area is Artifacts. Ever open one of those? It's like the same cards over and over. The NuFex cards here look great, and I definitely stopped to pay attention to some of the images on the cards. Any product that gets you to slow down while opening to appreciate the cards is a winner in my book. We often are so impatient to rip every pack that sometimes we forget to just enjoy the cards. These Pinnacle cards made me give pause. There are so many Crosby cards with him in his Pens jersey flying around the ice. 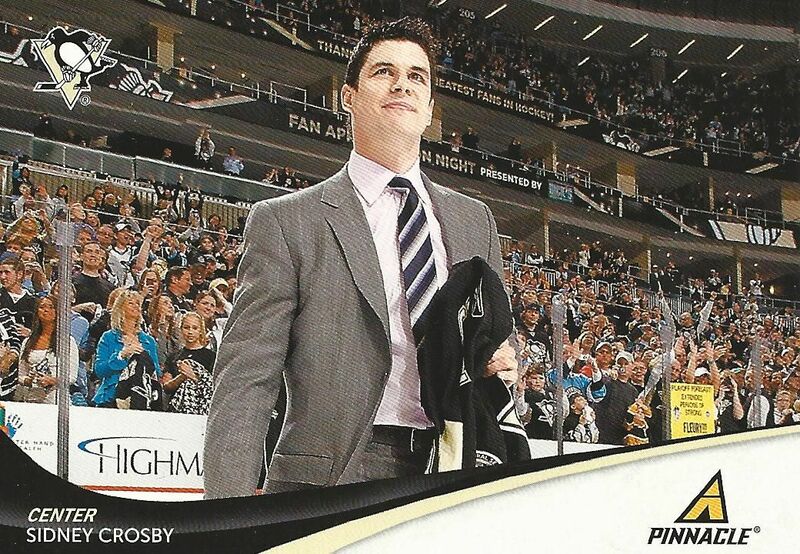 Sid-the-Kid didn't play much this season due to injury so this card was perfect to capture that. 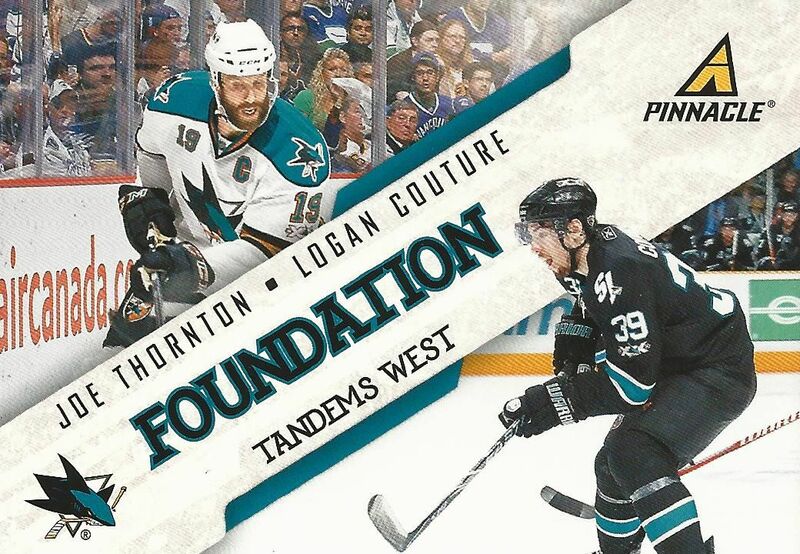 Wow, Thornton and Couture on the same card! That's awesome for a San Jose Sharks fan like myself. I remember buying this card on eBay a long while back. I guess I could've waited on it! 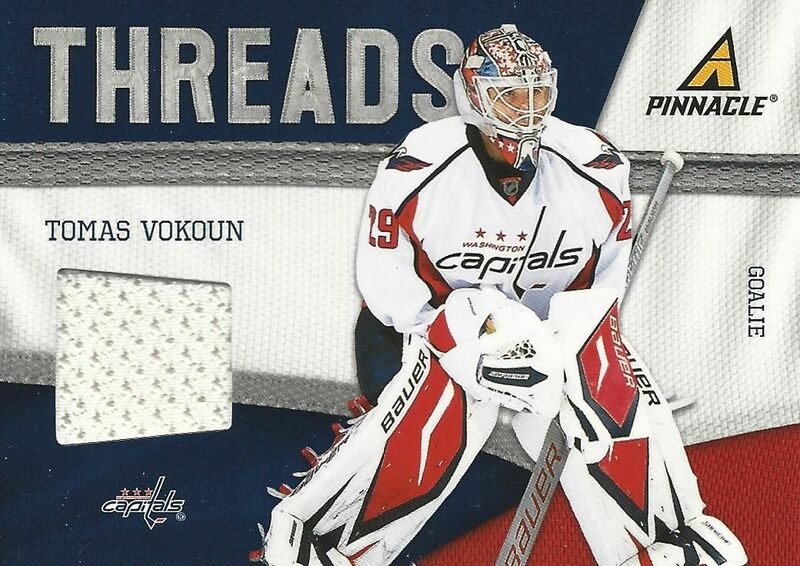 Not numbered but still a pretty nice jersey card of Vokoun. The Threads design is simple and perfect for retail. I'm definitely happy with this card coming out of the blaster. Again, no complaints with this blaster of 11/12 Pinnacle... and I'm ready to open up another one. These represent some of the best values in older retail products. If I were you I'd go out and order some right away!